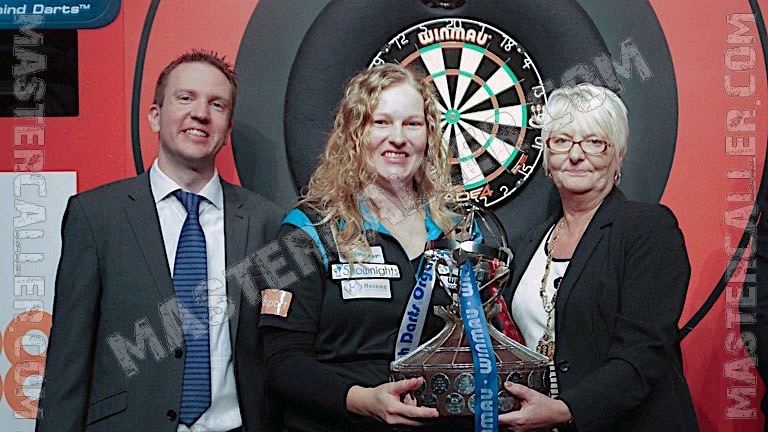 The Winmau World Masters 2015 were held from 8 to October 11 in the Hull Arena. Aileen de Graaf becomes the third Dutch lady who claims the title. De Graaf wins the tournament by beating three of the best players in the world in a row. In the quarterfinals multiple world champion and defending champion Anastasia Dobromyslova is brushed aside. One round later the Dutch ace defeats Deta Hedman, seeded first for this tournament. In the final, current World Champion Lisa Ashton is also beaten after a wonderful match. Only Francis Hoenselaar (3x) and Karin Krappen (1x) won the World Masters earlier on behalf of the Netherlands. For the first time in the history of the tournament, there were two Japanese women in the quarterfinals. Mayumi Ouchi is certainly a familiar name; Akari Oshiro was not until this tournament.